New signs now illuminate the Chinatown neighborhood in Washington D.C. thanks to Electrical Alliance Contractor, Jack Stone Signs. For more than 80 years, Jack Stone Companies has been in the business of sign manufacturing and lighting maintenance. What started out as just a lighting and electrical company grew into an even larger venture, when in 1934, Jack Stone Signs began. Today, Jack Stone Signs focuses on cutting edge technology, specifically the use of LEDs. 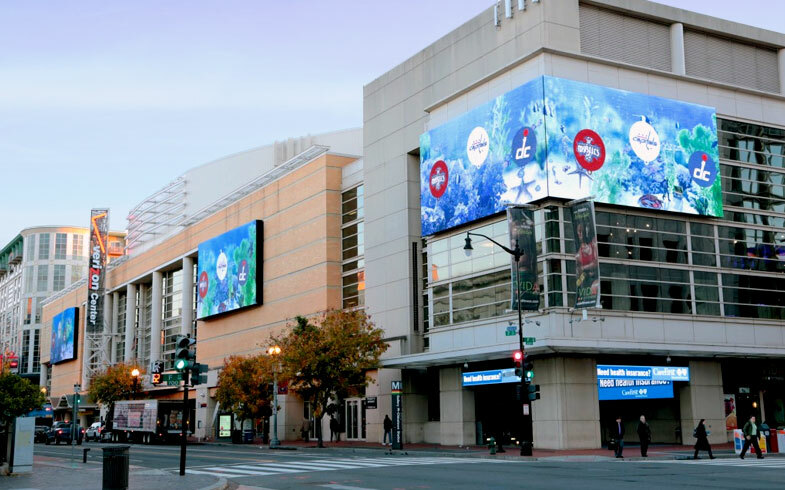 Most recently, it completed the installation of nearly 4,000 square feet of LED displays on the exterior façade of the Verizon Center and around the Gallery Place Metro entrance. Sansi North America (SNA), the display manufacturer, hand-selected Jack Stone Signs to handle the engineering, structural fabrication and installation at the Verizon Center following a successful collaboration on a project last year at NPR’s (National Public Radio) new headquarters where SNA provided LED displays for interior and exterior applications. 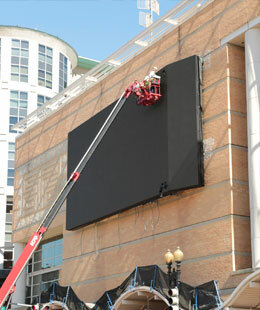 Jack Stone Signs installed the LED sign system SNA provided for NPR. The system is made up of LED video displays on the exterior of the building, the lobby space, an interior Media Mosaic that features a LED zipper combined with a series of LED displays in a portrait setting. And lastly, the most visible part of its LED presence is the 55-foot tall Icon Tower sitting in the front of the building. The Icon Tower is composed of vertical steel tubing, glass and the S/ThurMedia TM LED sticks, specifically fabricated as a unique corporate pylon ID. 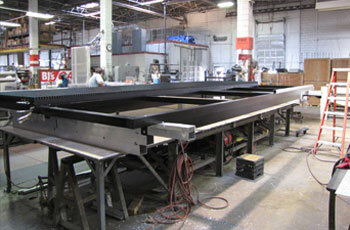 The structure is constructed of six-by-six foot steel tubes, first fabricated in Jack Stone Signs’ Maryland location. The final piece of the Icon Tower’s LED presence is an exterior horizontal electronic message center, known as the zipper. The zipper displays real-time news information as well as information on theatre and community events and performances that are held within the NPR auditorium space and now stands completed in front of the headquarters.